Four iconic Motorcycle themed films will be screened in a new free to attend outdoor cinema at the 2017 Classic TT presented by Bennetts. The ‘Sundown Cinema’ – featuring a stage mounted twenty-foot screen - will be situated at the heart of the Classic TT paddock behind the TT grandstand on Glencrutchery road. 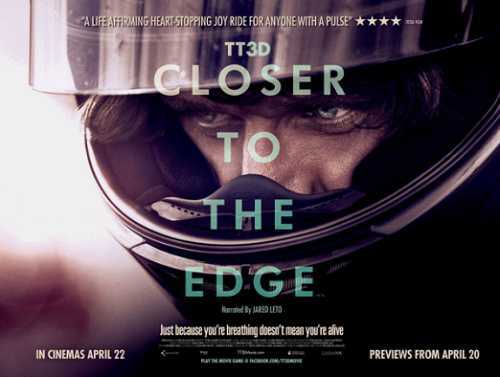 The four day programme will kick off at 8.30pm on Friday 25th August with the cinematic smash ‘TT3D Closer to the Edge’ featuring Guy Martin and a host of other TT stars as they compete in the 2010 TT race meeting. The film became one of the highest grossing documentaries of all time and took motorcycle racing into the mainstream media. Saturday’s big screen offering is ‘the World’s Fastest Indian’. Starring Anthony Hopkins, it tells the story of New Zealander Burt Munro, who spent years rebuilding a 1920 Indian motorcycle, which helped him set the land speed world record at Utah’s Bonneville Salt Flats in 1967, recording nearly 184 mph in the under 1000cc class. Appropriately on Sunday, the Sundown Cinema will be showing ‘On Any Sunday’ - the definitive Motorcycle racing documentary that follows the lives of racers and racing enthusiasts, including actor Steve McQueen. This film looks at the people who devote, and sometimes risk, their lives to racing on tracks and off-road courses around the world. 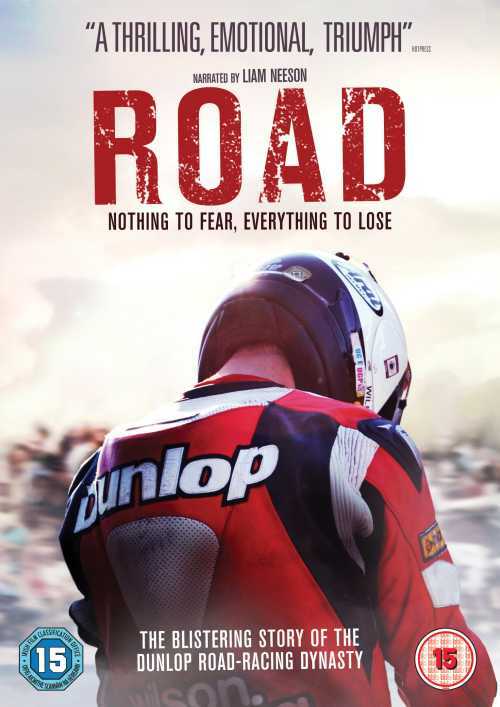 ‘Road’, the critically acclaimed 2014 documentary featuring the Dunlop road-racing dynasty, is Bank Holiday Monday’s movie choice. The film intersperses historic footage of road racing legends Joey and Robert with features on modern brothers William and Michael as they compete in the Irish races and on the Isle of Man. The cinema is part of an expanded four-day entertainment programme at the Classic TT Races which kicks off on Friday 25th August with the Classic TT paddock Carnival – chat shows, live music and family entertainment - and Concours D’Elegance ahead of the final qualify session and two Classic TT Race days on Saturday 26th and Monday 28th August. The official Classic TT entertainment also includes the tub-thumping Classic TT party on Saturday 26th August, the RST Heroes dinner on Sunday 27th, vintage and retro parade laps and the VMCC’s Festival of Jurby on Sunday 27th August. This year’s entertainment programme also features much anticipated laps by Brittens and the appearance of Team Obsolete’s Honda 6 – one of the world’s most celebrated machines as well as Michael Dunlop’s Gilera tribute to Bob McIntyre as part of the sixtieth anniversary celebrations of the TT Mountain Course’s first 100mph lap.